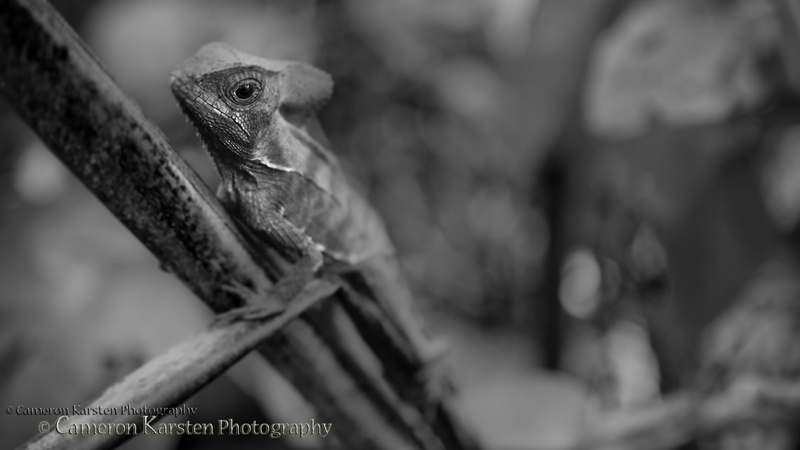 Captured in the jungles of southeastern Costa Rica, this little lizard rested in the afternoon heat upon a leaf of a local palm. Composing the image, I wanted to photograph the details of the tropical jungle, highlighting the lizard’s intricate skin while diffusing the background of a deteriorating jungle floor. 1/25 sec at f/4, ISO 1000.